Desert Recycling, Inc. is the only fully permitted, “Construction Materials with Transfer/Processing Recycling Facility operating in the Coachella Valley. 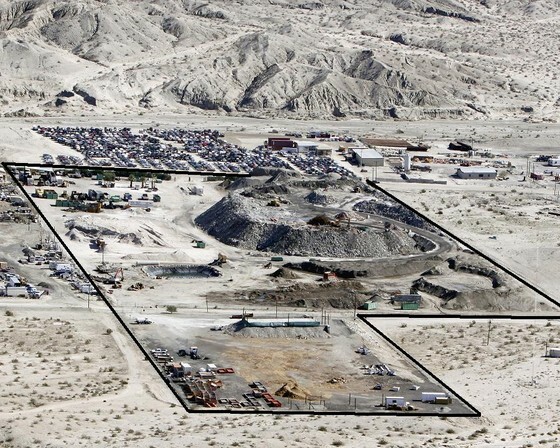 We operate on a 25 acre site at 27-105 Sierra Del Sol, Thousand Palms, California. The yard was opened in 1991 and to date have recycled over 2,200,000 tons of materials. All materials received at our facility are recorded by jurisdiction so we can report to each City and the County areas the volumes received. This tracking system is required to meet the mandates of State Law AB 939 that requires all jurisdictions reduce their waste streams by a minimum of 50%. When you recycle at our facility you will receive full recycling credits as required by some Cities. We offer concrete washout service and rolloff containers. We strive to provide service in less than 24-hours from the initial request for container pick up or drop off. Over the years we have had 1,000’s of customers to include, contractors, developers, landscape & gardening contractors, street sweeping companies and homeowners. In addition we also provide our services to most of the City and County Departments as well as the local waste haulers.